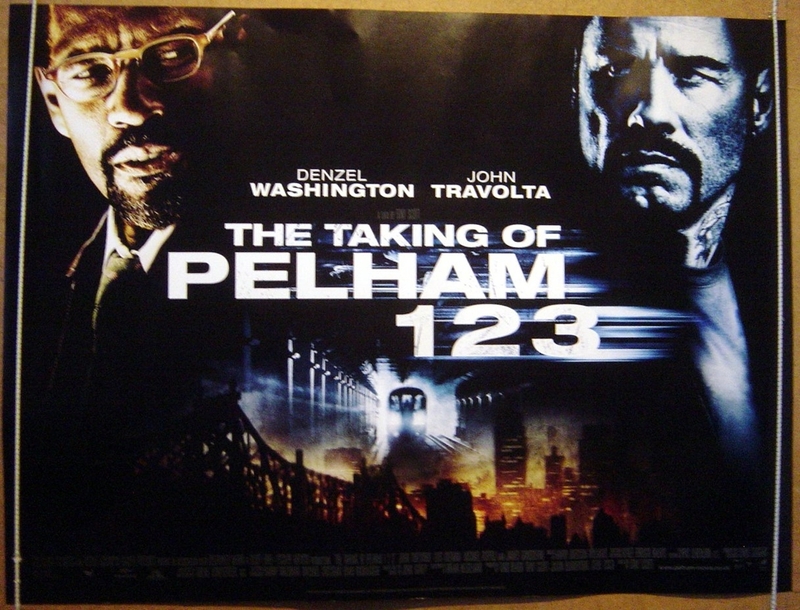 In late 1974, the movie The Taking of Pelham One Two Three, based on a novel of the same name, was released. The main plot involves four men, using colors as code names, boarding the subway at Pelham station in New York at 1:23 pm., (hence the name) where they ultimately take a subway car full of hostages. They demand one million dollars or they will begin killing hostages. Today, America appears to be in a similar position. The United States is that subway car and we, as citizens, are the hostages under the control of a small group of people. The difference, however, is that our intended fate will be decidedly different than the hostages in the movie. Our captors simply want us dead. To fully appreciate and understand the context very last scene of the 1974 version of the movie, one must watch the entire film. So it is with the current events taking place in America today. You will not understand the context of certain events taking place without seeing the entire picture, or the “big picture.” CFR member Richard Gardner, who joined the Columbia faculty in 1957 and was a professor at Columbia Law School through 2012, the alma mater of Barry Soetoro, a/k/a Barack Hussein Obama, provides an overview of sorts for “The Taking of America One Two Three” in his 1974 article. Against the backdrop of a Constitutional Republic known as the United States, the story begins by a rapid historical recap of the founding of a nation, the creation of an immutable document known as the Constitution of the United States and the Bill of Rights, and slows in the early years of twentieth century. Then a small group of powerful men, aided and abetted by government insiders and the press, conduct an “end around” our national sovereignty and capture the nation’s economy through the creation of central banks and an income tax that lines the pockets of the bankers, despite reports to the contrary. This same group, operating under the codename “The Committee of 300″ as meticulously documented through the extensive research of Dr. John Coleman, becomes more entrenched in nearly every aspect of American government and society. Through their wealth and power, they influence U.S. politics to the extent that U.S. presidents are first selected before they are elected, as are the Secretaries of State appointed by each president. This “Committee of 300″ creates and nurtures sub-organizations, such as the Council on Foreign Relations, the Trilateral Commission, and many others. Like a destructive virus, these cretins infect the host bodies of our political, financial, corporate, religious and societal institutions. This infection causes national immunodeficiency, or the state in which our national immune system, the U.S. Constitution, is compromised. Political leaders who associate themselves with the right-left paradigm enter the scene dressed as physicians, posing as knowledgeable and helpful saviors, pretend to treat this national infection. (Note: the audience who has seen the plot from the beginning and read the book on which the movie is based realize that these leaders are the actual captors. They know the history, and are not fooled. Others in attendance are fully entranced by the action onscreen and don’t understand the twists and turns of the subplots). The film speeds through the world wars and police actions, the assassination of JFK, the Watergate “scandal,” and begins to become more intense with scenes from the opening shots of Desert Storm, the passage of the NAFTA and GATT treaties, the repealing of the Glass-Steagall Act and the related consequences, and stops momentarily on September 10, 2001. At that point, Secretary of Defense Donald Rumsfeld is shown announcing that $2.3 trillion of the defense department budget cannot be accounted for, followed by scenes of the carnage the following day. From there, scenes of attacks against Afghanistan and Iraq play out under George W. Bush, who happens to be the son of former President George H.W. Bush. Amid the main plot are numerous complex subplots that relate to previous scenes, ultimately progressing to one of the leading characters being selected and ostensibly elected as the 44th president of the United States under mysterious circumstances. This character is double-billed as Barack Hussein Obama and Barry Soetoro, a man of questionable eligibility to hold the office under Article II, Section I, Clause 5 of the U.S. Constitution. An investigation into this character’s constitutional eligibility is thwarted at every turn by individuals in power, taking their orders from the now fully functional shadow government answerable to the global elitists, previously billed as “The Committee of 300.” Even the “good guys” clamor that this character’s eligibility is nothing more than a distraction, and soon convince many that they are racists, bigots or at the very least, conspiracy nuts for even mentioning this character’s origins. But it’s not just the origins of this character that is of concern, but his allegiance to the United States. The importance of this problem becomes much clearer as this Soetoro/Hussein character surprises even his earlier supporters by continuing an aggressive war posture, increasing domestic surveillance, and generally running the country by fiat. The final scenes of the movie are tense, where the Obama/Soetoro character is shown filling his inner circle with Marxists and Islamic terrorists, nationalizing a large portion of the country’s economy and consolidating immense power by overseeing the implementation of national health care, purging the military, expanding national surveillance, equipping a federalized army with billions of rounds of ammunition, destabilizing the Middle East, and pushing for a U.S. Senate rule change that effectively permits a coup of the judiciary. Meanwhile, much of the supporting cast, many dressed in white hats and appearing to oppose this increased tyranny, are exposed for who they are and their allegiance to a globalist agenda through their associations with ”The Committee of 300″ and its associated groups. There is cinematic chaos as scenes of various twentieth century tyrants flash across the screen between scenes of Obama/Soetoro gradually being elevated to the position of a tyrant himself. Film directors Henry Kissinger, Zbigniew Brzezinski, and George Soros surprise audiences by cameo appearances. As the camera pans to various individuals in power, political pundits, and members of the media, special effects and graphics are used to reveal their true allegiance, either as unwitting dupes or willing prostitutes in the employ of the shadow government. By then, it’s too late. The subway car is shown screaming down the tracks as helpless onlookers begin to weep for those aboard. Before fading to black, a “remnant” of individuals suddenly emerge from the crowd, breaking free from their trance-like states to save those aboard. There is acrimony and chaos as the main cast members, many believed to be on the side of the good and righteous, attempt to stop this group of men from saving the subway car, using every tactic available to the shadow government. Genre: Nonfiction; playing at locations all across the U.S.